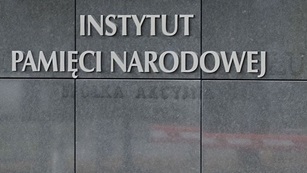 The Polish Institute of National Remembrance issued a statement on February 23, 2018 regarding crimes committed by the German Reich in occupied Poland and on the false information appearing in media. The statement says that in the publicly circulating information the numbers of Jews killed outside the ghettos on German-occupied Polish areas in the years 1942-1945 are untrue. A large part of this incorrectly published information is wrongly attributed to the works of Simon Datner – one of the creators of studies on the Holocaust. In a manner far from scientific scrupulousness, certain numeric data on Jews murdered outside the ghettos is attributed to his works, whereas in reality he never included such data in them. Furthermore, Datner – like any responsible researcher – understood perfectly well that the territory of the Polish lands, both within the ghettos organized by the Germans and outside those ghettos, was under German occupation and was subjected to the absolute terror of the German Reich. Therefore, Datner did not treat the areas under German occupation outside the ghettos as places where the Polish population could act freely. Quite the opposite – as someone who experienced this period personally, he understood the realities of German occupation perfectly well, and described them with due sensitivity. In the often-cited article “Nazi crimes against ghetto escapees”, S. Datner wrote: “In one of the studies, I estimated the number of surviving Jews, saved primarily thanks to the help of the Polish population, at around 100,000 people. We equally tentatively estimate that at least the same number of victims were captured by the occupying authorities and fell victim to the atrocities” (“Nazi crimes against ghetto escapees”, Jewish Historical Institute Bulletin, 1970 no. 75, p. 29). Never, in any of his works, did Simon Datner mention any number of 200,000 murdered Jews, nor did he ever describe such a number of victims as the result of crimes perpetrated by Polish people in the occupied territories. 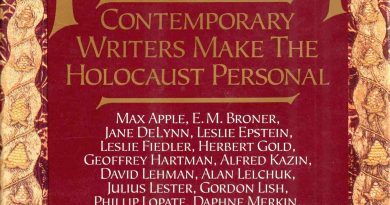 Imputing these statements to Datner amounts to falsifying the scholarly record of this undisputed authority on Holocaust studies. During the Second World War, the entire area of the occupied Polish lands was affected by the operations of the German military and police. They carried out the orders of the German Reich, enforced German ordinances with full severity, which stipulated the death penalty not only for hiding Jews outside the ghettos, but also for any form of contact with them. Harsh penalties were applied for even being aware of Jews being hidden and failing to report this to the German police authorities. There were undoubtedly individuals who complied with such regulations. The effective implementation of such ordinances and the crimes committed against Jews captured outside the ghettos were the responsibility of the officers of the German Reich state services. They were members of various kinds of German services, including the Gestapo, Kripo, SS, military police, Wehrmacht, as well as the new police services established by the German Reich from the citizens of the conquered countries. The officers of each and every German police formation participated in carrying out the criminal orders of the Reich. Just like in the ghettos, the Germans employed the “ghetto” police to conduct criminal activity – the Jewish Order Enforcement Service (Jüdischer Ordnungsdienst) consisting of Jews and established by the German Reich. Outside the ghettos in a similar capacity they employed the so-called “blue” police (Polnische Polizei im Generalgouvernement), also established by the German Reich and consisting primarily of Poles, and to a smaller extent of Ukrainians and Volksdeutsch. This police force (contrary to certain similar formations in occupied Europe) was under the direct orders of both the civilian and military German authorities. The Reich also employed the Ukrainian Auxiliary Police and other formations comprised of various nationalities for participation in various crimes. The German police services (including the “blue” police) were a tool also used by the German Reich for fighting undercover organizations and the Polish Underground State, including cells established specifically for helping Jews in hiding. Polish underground courts sentenced those who supported the occupiers in their anti-Semitic policy. In the ghettos, sentences on voluntary German collaborators were carried out by the Jewish resistance movement. In every social group and every nation, both heroes and traitors manifested themselves. In every nation, the majority were just people who simply wanted to survive the years of wartime atrocities together with their families. The issue of the attitudes of both the various groups of Poles and the various groups of Jews during the German occupation is a complex one that eludes generalizations. It does, however, require an acceptance of the criminal role of the German Reich that wielded its authority over the day to day reality of the occupation. The Reich was the causative factor, determining the most important points of reference in the system of occupation, wielding power and using widespread terror and violence. In one of his works, Simon Datner wrote: “The rescue of Jews in Poland is among the most beautiful acts of the humanitarian and brotherly relationship between the Poles and their persecuted fellow citizens. By providing help, hiding and rescuing Jews from the Holocaust, Poles were put at risk of inhumane persecution and death at the hands of the occupier. Despite that, many Poles manifested unparalleled heroism by saving the lives of Jewish victims of Nazi racism and terror. 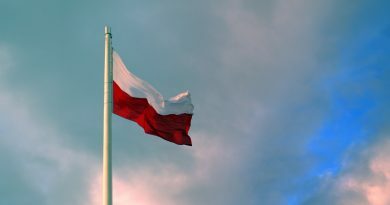 Many Poles, including a significant number of heroes so far unknown by their first and last names, paid for their noble attitude, worthy of the highest respect, with their lives. Many were brutally murdered for their heroic and deeply humane reaction, oftentimes together with their entire families and children by the occupier who was inflicting ruthless terror” (Materials on Poles rescuing Jews; “JHI Bulletin ” 1970 no. 76, p. 86).”.